Leverage Marketing is a digital marketing agency which uses best practices in online marketing to build a foundation of entrepreneurial success. The agency was started past 17 years by the mix of former CEOs, Vice Presidents, Directors and young talented upstarts with the years of experience. The highly analytical marketing approach is adopted by the team members who are collaborative, dedicated and competitive as well. The mission of Leverage Marketing is to focus on the marketing strategies that give positive results for the customers. You definitely get the cutting edge innovative solutions that meet all your requests and marketing needs. Leverage Marketing has been nothing short of amazing. We are Chandler Knowles CPAs in Dallas, TX and through the years have hired multiple SEO/Website companies. From our previous experience with other so called "experts" we have been trained to accept mediocrity. Leverage blows away the competition and with the implementation and analysis of Google Analytics we are able to track and see the results. 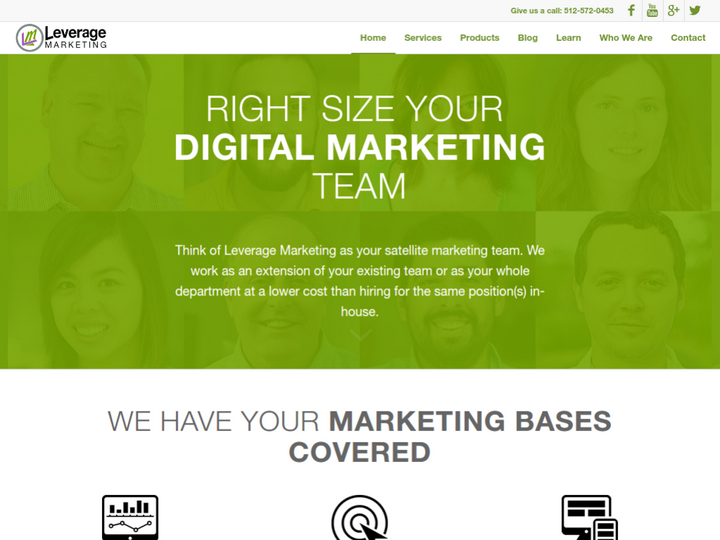 But what is most impressive is the level of service, attention and detail the team at Leverage provides. I can not speak highly enough of Leverage and we recommend them to any of our business owner clients who are looking for a SEO firm with proven track record that will produce results. I've used them at three different companies in the tech industry, they are excellent on search - both paid and organic. Excellent communication, very friendly staff, attentive account manager, and most of the employees have been with the company for YEARS. Low churn is a good leading indicator for any of these types of agencies, but I've had about 7 years experience with these guys. They'll tell you what's wrong, what they'll do, and how long they say it's going to take. I have had the pleasure of seeing them repeat the process with great success at different firms, so I know I didn't just get lucky. Give them a shout.